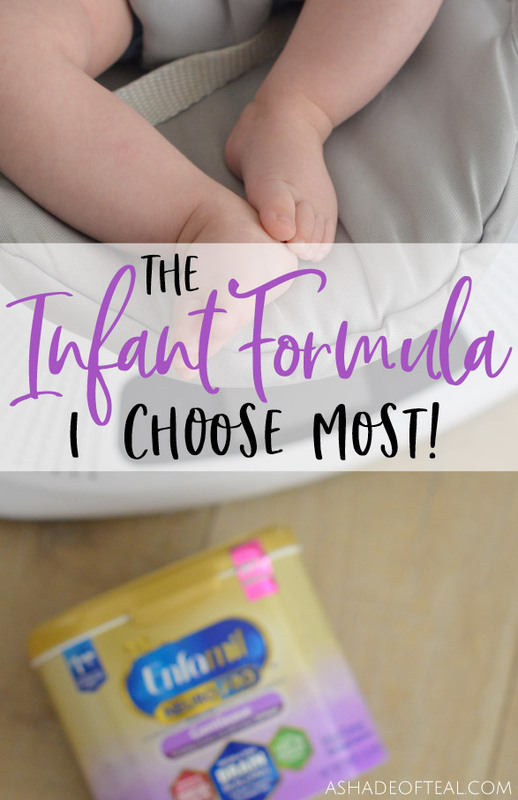 The Infant Formula I Recommend Most! 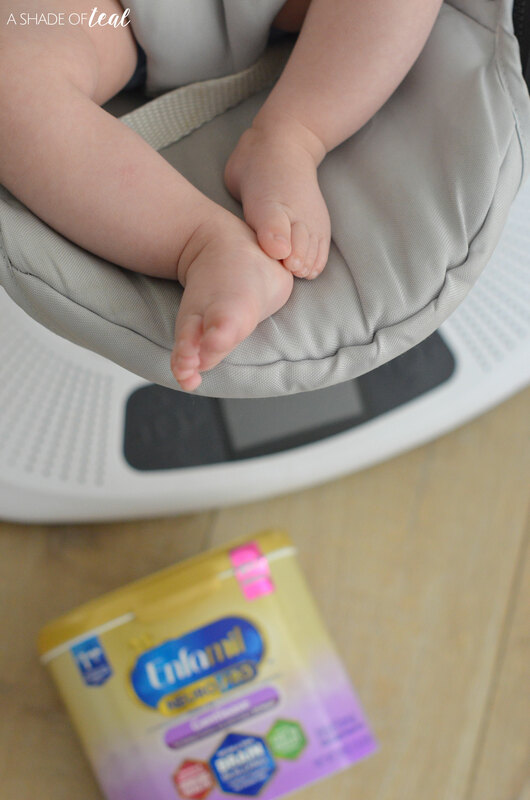 With so many options to choose from, how do you know what formula to use with your baby? There are so many things to consider, and walking down an entire shopping aisle dedicated to infant formula can be overwhelming. But since having 3 kids, I’ve tried several, and honestly, the infant formula I use is Enfamil NeuroPro™ Gentlease®. 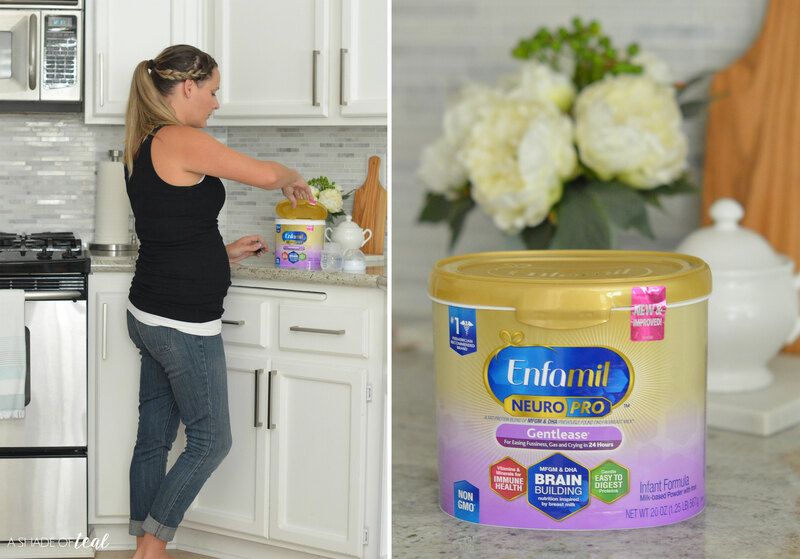 Enfamil NeuroPro Gentlease® has become a staple on my kitchen counter. With all 3 of my babies, I chose to attempt pumping exclusively. I did pretty good with my firstborn until I went back to work full-time. With my second and third baby, I was able to pump for a longer period of time since I started working from home. However, with each new addition, it was harder and harder to find the time to be consistent and pump, so I learned to supplement with formula. You might be wondering why Enfamil NeuroPro Gentlease® is the infant formula I use? Well, it’s been my preferred choice of formula for several reasons. First, Gentlease offers complete nutrition for babies through 12 months, such as vitamins & minerals for immune support. Second, Enfamil NeuroPro™ Gentlease® is a gentle formula for easing fussiness, gas, and crying in 24 hours. My son is only 5 months old so I’m still learning some of his cues, like determining if he’s fussy due to gas or he wants to be held! 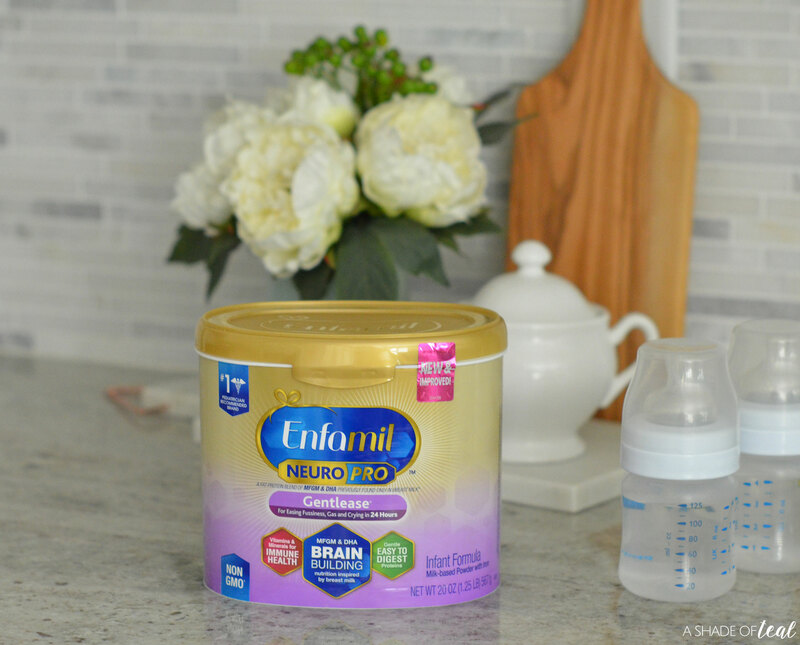 So, whether you’re supplementing, like me, or even just bottle feeding, the infant formula I use is Enfamil NeuroPro™ Gentlease®. Gentlease is the #1 Pediatrician recommended brand for gassy and fussy babies. *As measured by Bayley cognitive scores. « Embracing Life’s Surprises with Bona! Thanks for sharing. This is so informative for the would be mothers.